Belmac Supply Limited is family owned and operated, providing customer with the latest and best in outdoor power products to make your life easier when maintaining your property. From the most recent in environmentally-friendly engine technology, to the hottest new eco-friendly cordless outdoor power products, they can help you find the right tool to get the job done. 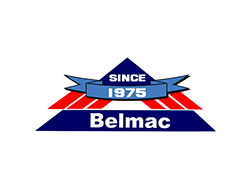 Belmac Supply Limited has a wide variety of products from Kubota, Woods Equipment, STIHL and Husqvarna, to Gravely, Honda Power Equipment, Makita, Milwaukee, Carhartt, and Dickies. Their service department specializes in factory recommended maintenance, replacement parts and emergency work.